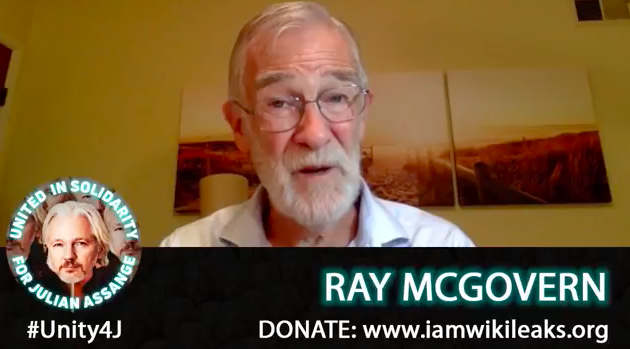 Amid rumors that Ecuador is about to render Julian Assange to the tender mercies of the UK/US, we post Ray’s video interview with Julian supporter Suzie Dawson. Shamefully, by their servile silence, Establishment media show they don’t give a rat’s patootie about freedom of the press. Assange supporters are urgently seeking active ways to prevent Assnge from being expelled from the embassy. All hands on deck! ← “The Morning After” the Helsinki Summit, Ray Skype-spoke for 7 minutes with the International Center for Public Diplomacy, founded recently to promote US-Russia cooperation in science, education, culture. July 17 was also the 4th anniversary of shoot-down of MH17, so Ray asked, once again, for the US to share the granular evidence that SecState John Kerry claimed to have “proving” that the Russians shot it down.